Briony knows she's a witch and knows she's done terrible things. She makes sure to remember to hate herself everyday. She also remembers to take care of her twin sister Rose. She does these things, because her stepmother constantly reminded her of how she was terrible because she was a witch. Now though, things are starting to happen and Briony has a new set of things to blame herself for. She's stayed away from the swamp like her stepmother told her to, but circumstances cause her to end up in the swamp again. While she's there, someone is killed and Briony's sure it's her fault. She doesn't want to confess though because they hand witches. Even though Briony hates herself she still quite likes being alive. It doesn't hurt that a stranger has come to town and Briony's taken up with him. Eldric doesn't treat Briony as she expects to be treated, he makes her feel wonderful. The question is though, will he still thinks she's so wonderful once he learns all her dark secrets? Does Briony even know how deep her secrets go? This was quite an enjoyable read. I loved the take on fairies and spirits and witches. It was different and exciting. It was easy to suspect the basis of what was going on, but it was still enjoyable to figure out what exactly what happened. Everything became so twisted in Briony's mind, that it was nice to finally have it all laid out. One thing that really bugged me was how the Old Ones spoke. It was totally fitting, but just made me fidgety. I could only read it in a creepy high pitched old witch voice and it was a bit off-putting. Fitting, yes. Enjoyable, not so much for me. I also feel like this needs a sequel, there are quite a few things that were not concluded. Whatever happened to green girl? Maybe my need for a sequel comes from feeling like I didn't know some of the characters that well. 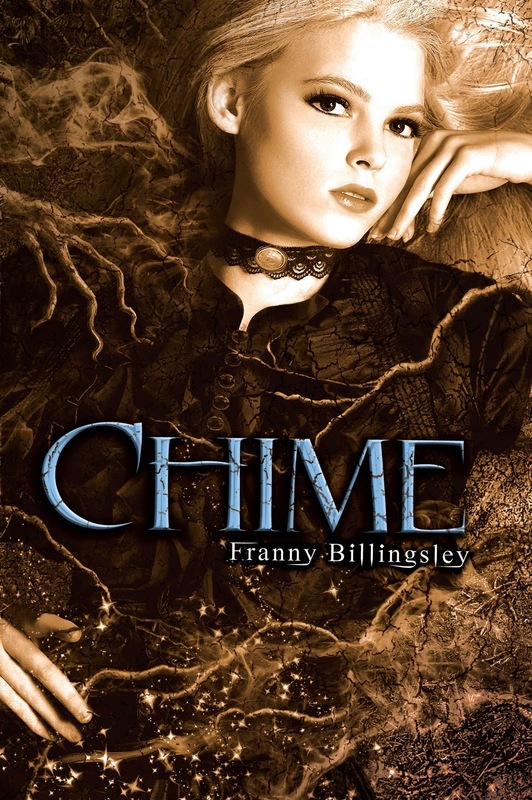 The Chime Child and Briony's father are pretty mysterious and I would love to know more about them. This novel was a lot of fun though. I had a hard time putting it down, because I wanted to know what was going to be unveiled next. I also adored Eldric. He was such a charming man and I just really enjoyed him and Briony together. He off set her sour hateful nature. It was a delight to read about them and solve the mystery of Briony's memory and see all the lovely people that Briony surrounds herself with, save for Cecil and Leanne. Though, in Briony's defense she doesn't really want these people around. Cecil seems like a good enough sort of chap. Things get a bit rough between him and Briony, but I think that's a problem of his instead of a personality trait. Leanne just oozes pure evil. She kind of reminds me of Lindsay Pearce as Harmony on Glee. Just a very big personality with a hint of something you just don't like about her. I don't think I could stand to be in her presence all that long either. Now I'm interested to check out Franny Billingsley's other novels to see if they have that slight twist on how we know things to be. She blends the real world with the magical so seemlessly, that I 'm still waiting for a Brownie to show up and skitter around my feet speaking to me kindly. If you are looking for a supernatural book that's just a bit different in a totally awesome way, grab this one. "I've confessed to everything and I'd like to be hanged." "They were soft and wet, just a little wet, but I could drown in them." I didn't know much about this but I recognised the cover right away (I don't love it, either). It sounds like an intriguing story, and a good mix of elements, too.